If you’re in a pinch for cash, and you have some old, unwanted or unused jewelry laying around taking up space in a jewelry box, why not bring it into our pawn shop and convert something which you have no use for, into a good amount of cash which you do have use for? Maybe you’ve been holding on to some jewelry because it had sentimental value to the family, and one of your ancestors used to wear it long ago. We all run in to situations where the pressures of modern times force us to do things we may not really want to, and we then have to make difficult choices. If having some extra cash on hand will get through get you through a period of hard times, it just makes sense to relieve all that stress, and generate the cash you need from jewelry that you don’t need. Your grandmother might even be glad to know that the necklace she once wore, helped get you past a financial crisis and kept you going. So How Do I Get to Alma School Pawn, the Premier Jewelry Buyer? If you live somewhere in the area surrounding Mesa, Arizona, or one of the nearby communities such as Scottsdale, Apache Junction, Phoenix, Gilbert, or Chandler, it will definitely be worth your while to gather up all the unused jewelry you have in the house, and bring it into our pawn shop for a fair evaluation. 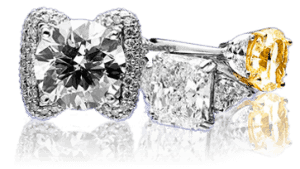 We are a jewelry buyer in Mesa, Arizona with more than three decades of experience and knowledge in the jewelry business, and we can appraise your jewelry right in your presence as you wait. Our in-house expert will accurately test and weigh your jewelry while you observe the whole process, and we can make you an offer right on the spot. Do You Only Buy Jewelry? We buy jewelry, but we will also give you the option of pawning the jewelry rather than selling it outright, so you will have the opportunity of redeeming some, or all of the jewelry at the end of a three-month loan. We would assume temporary ownership during that time, and as you pay off the interest and principle, your balance will be lowered to the point where you resume ownership yourself eventually. Even if you have difficulty paying on the principle of the loan each month, you can maintain the account by at least paying on the interest, and we’ll work with you to get that principle paid off as well. As a Jewelry Buyer, is There Particular Jewelry That Interests You? We buy all kinds of jewelry including rings, chains, earrings, watches, diamonds, gold, silver, platinum, and even items having their very own category. The basic rule of thumb is, if your jewelry has value to others that we can sell to, it will have value to us as well, and we can offer you the most amount of money for your jewelry valuables. Of course, we like to get top brands of jewelry in our shop, because they will have the maximum selling appeal to our customers, but even pieces of lesser value might still have good resale appeal, and you should bring them into us for evaluation.